The following article is technically talking about the work/office environment, but the lesson applies just the same to the online message board and blog environments. Misspelling can be interpreted as: “Boy, he/she is stupid.” An occasional spelling mistake is not going to label you stupid. But if you make spelling mistakes in everything you write, then people may believe that you were at the bottom of your class. 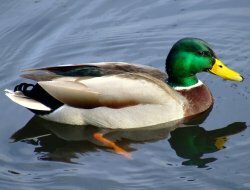 If it looks like a duck, swims like a duck and quacks like a duck, then it probably is a duck. You can easily tell who the stupid people are. This entry was posted on Monday, February 8th, 2010 at 11:23 pm	and is filed under Uncategorized. You can follow any responses to this entry through the RSS 2.0 feed. You can leave a response, or trackback from your own site.